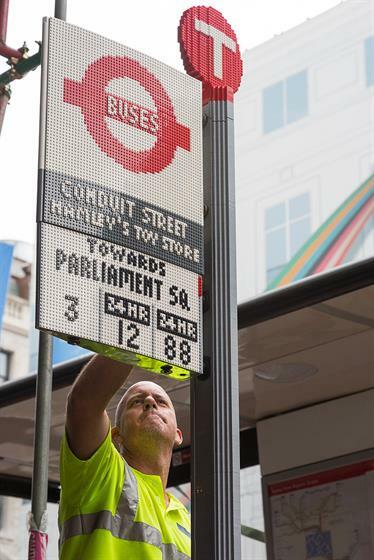 A bus stop constructed entirely from pieces of Lego and appropriately situated outside iconic toy shop Hamley's on London's Regent Street has been erected to celebrate Transport for London (TfL)'s Year of the Bus. 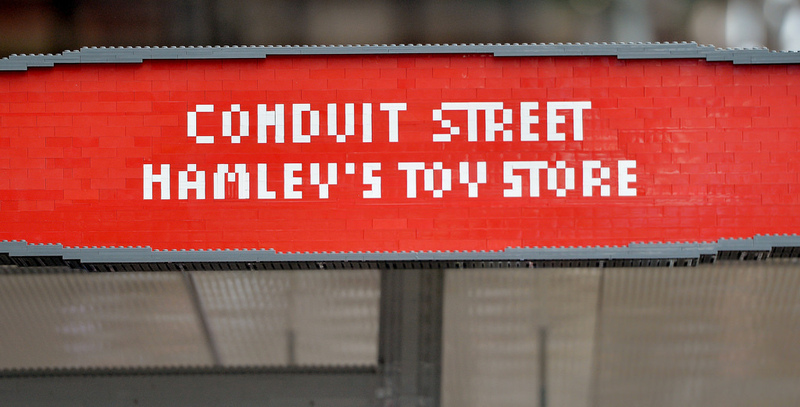 The Conduit Street stop on Regent Street, which serves travellers alighting for Hamley's, constitutes 100,000 bricks of Lego and even includes a bench made of red bricks. It has been constructed to celebrate 60 years since the advent of the Routemaster, 75 years since the launch of the RT-Type bus and 100 years since the world’s first mass-produced bus – the B-Type "Battle Bus", which took soldiers to the frontline in the First World War. 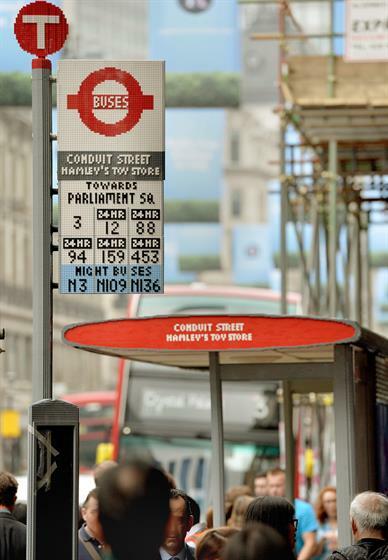 The Lego-made Regent Street stop will remain in place until 15 July.